This post also appeared on JSI’s “The Pump” blog and the Global Digital Health Forum website. When I began work in digital health eight years ago, I remember crowding around a laptop, trying various methods to get a $600 Android phone to be recognized by a laptop via USB cable. Getting something on that phone to actually work was even more exciting! These were the days of intensive field support for even the most basic solutions. Documentation was scant and solid support was based on knowing who the “right” person was to talk to at a technology firm. A few years later, governments and donors began making increasingly large investments in digital health, but systems were not yet catching up to the hype. Most had not scaled up nationally, and of those that did, some did not last beyond the initial project’s funding or scope. Fast forward to today. Last month’s fourth annual Global Digital Health Forum brought together the largest crowd yet for the event – more than 550 participants – and included representatives from ministries of health, implementing partners, and donors. (Presentations from the event are available here.) The Global Digital Health Network, formerly the mHealth Working Group, is a 3,000+ person-strong networking forum for members from 108 countries to share information, engage with the broader community, and provide leadership in digital health for global public health. Above: The Gartner Hype Cycle. There were relatively few new widgets or apps announced; instead focus was on a proliferation of toolkits and frameworks (see “methodologies and best practices developing” point on chart above). Discussions with providers of software and services made it clear that there is an increased focus on productization (trying to provide greater ability for non-programmers to customize solutions out of the box) and a move away from custom solutions (see “third generation products, out of the box, product suites” point on chart above). There were so many toolkits introduced, in fact, that there was a separate session just to help pick which was the right one for you! Other useful tools presented at the event included the revamped Principles for Digital Development website, which contains case studies and tools on a broad range of topics relevant to digital health. 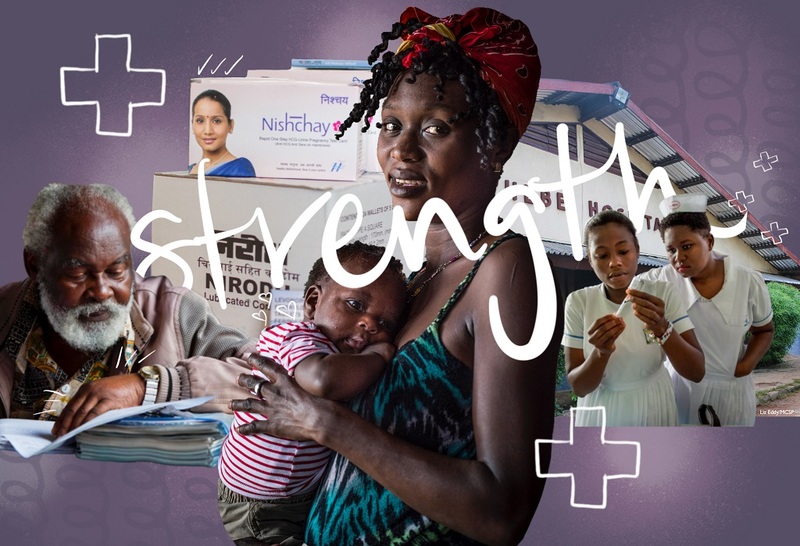 A new brief from the Mobile Alliance for Maternal Action (MAMA) has been similarly eye opening, as it highlights 13 key lessons learned from India, Nigeria, Bangladesh and South Africa. 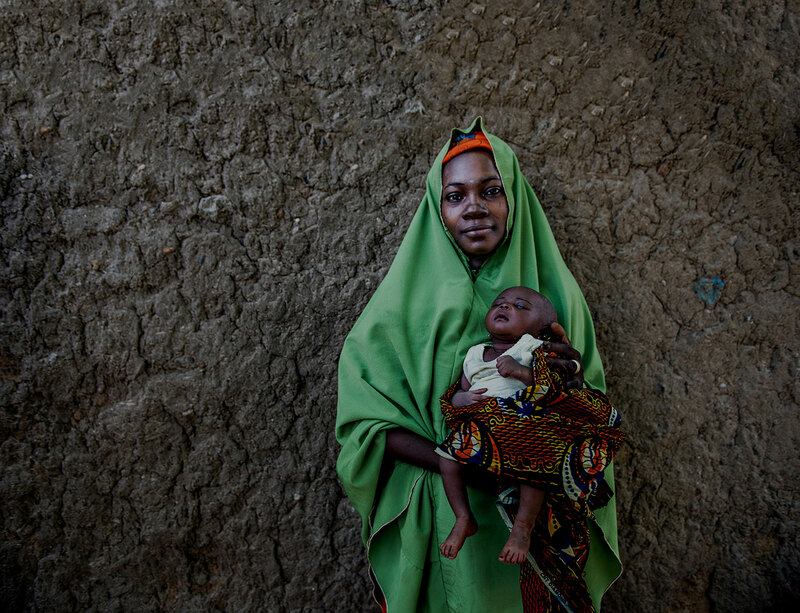 The MAMA approach uses age- and stage-based messaging directed toward pregnant women, new mothers, and families to foster behavior change and improve maternal and child health outcomes. Above: Author, Steve Ollis, Senior Digital Health Advisor for USAID’s flagship Maternal and Child Survival Program, shares his key takeaways from the Global Digital Health Forum. Collectively, the tools discussed represent a very welcome advance in digital health. However, it will take concerted effort to ensure that awareness continues to be raised and their use institutionalized, thereby avoiding a similar trough of disillusionment. We must continue to work together to promote these tools, improve upon them, and see how we can maximize the effective and efficient use of scarce resources to better serve the communities we support. 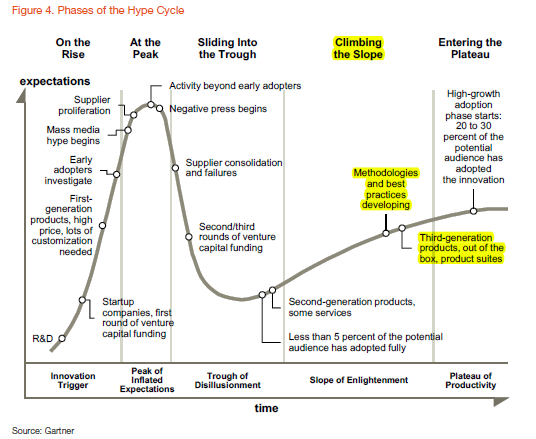 Looking back at the hype cycle graphic, the slope of enlightenment is still an uphill climb. Setbacks and obstacles are inevitable as we continue to ascend, but we are heading in a positive direction.